Posted in Uncategorized on April 15th, 2019 by KristineBrown — Be the first to comment! This year, International Screen Free Week is from April 29 – May 5. All around the world schools, communities, families and individuals participate in this event. Turn off the computers, smart phones and electronic devices for a week, go outside and enjoy nature. Why not make the most of this week and try out some of these herbal activities! 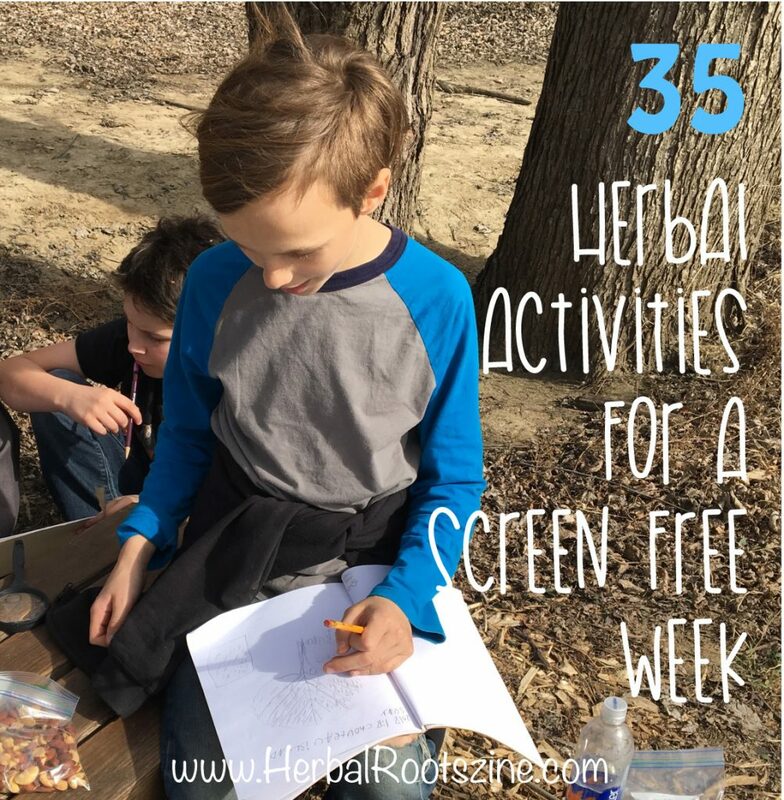 These activities can be enjoyed any time of the year so after your screen free week you may just decide to have a screen free day once a week throughout the year! 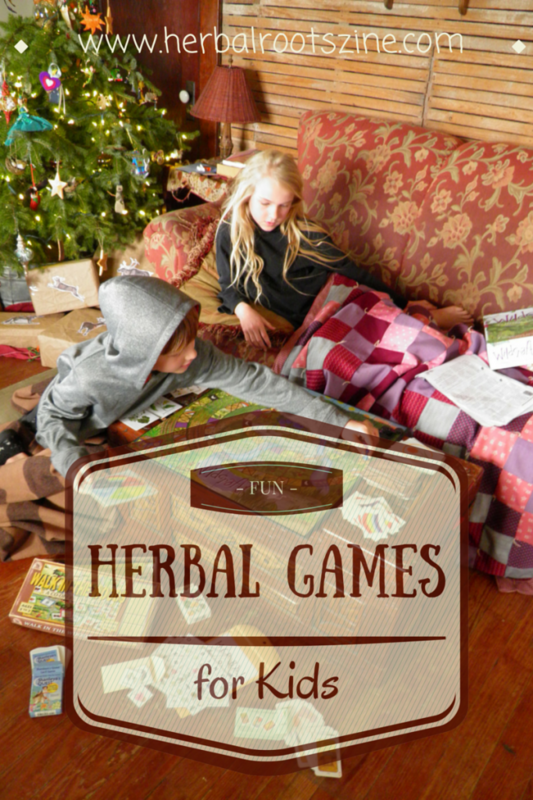 Play an herbal game such as Go Cultivate!, Herbal Bingo or Wildcraft! Love games? You could also try out Herbaceous or Morels as well. For more game ideas, check out our game list (scroll down on the page). 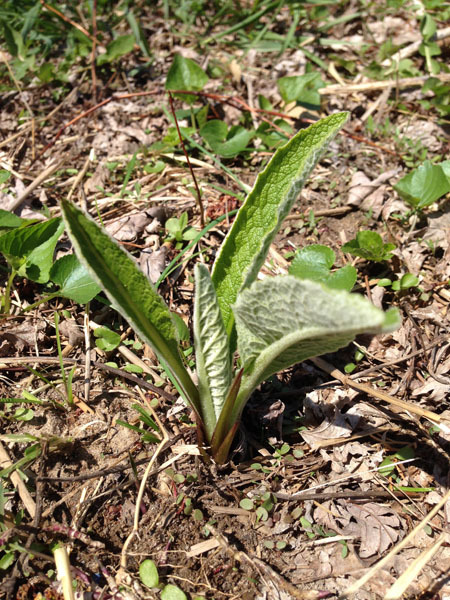 Go on a spring herbal scavenger hunt. Make a salad using some of the spring edible herbs. Make an herbarium to keep track of the herbs you learn about. Take a walk through your back yard or neighborhood and make a list of all the herbs you see. Don’t forget the trees! Learn all the botanical names of the herbs you found in your back yard or neighborhood. Learn the meanings behind the botanical names. 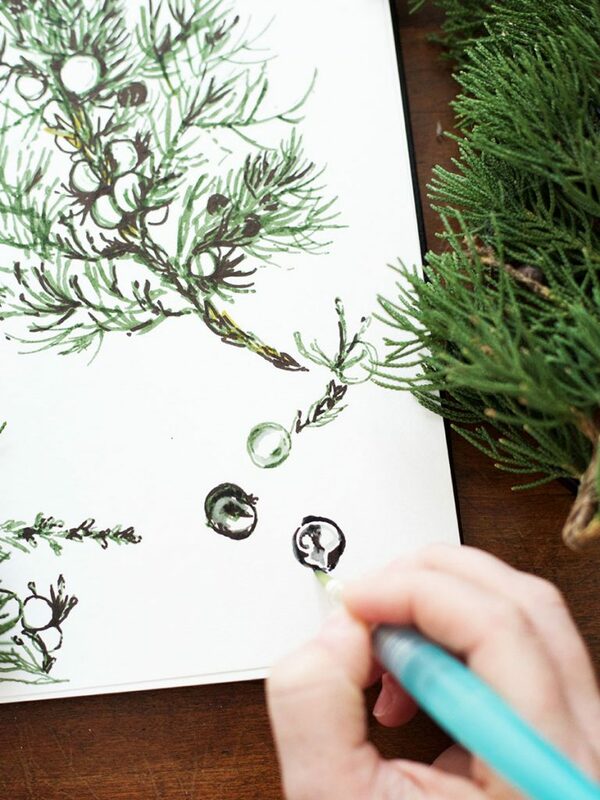 Draw a map of your neighborhood or back yard with a key of where all the herbs are located. Pick a plant from all the herbs on your list and find out about it. 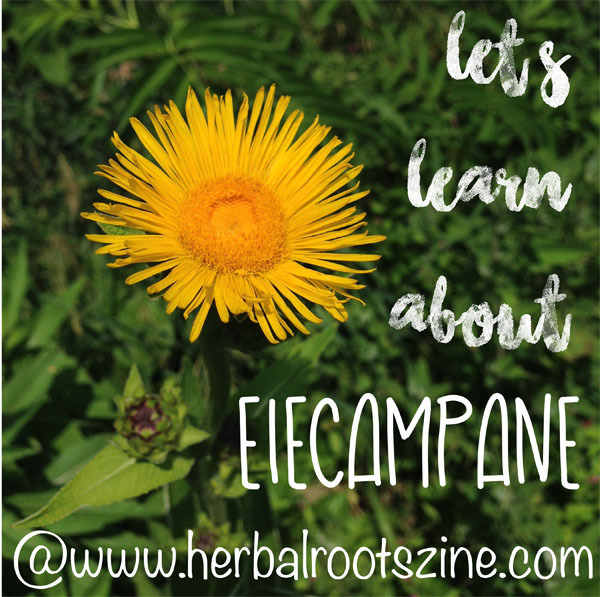 Use our free herbal mascot and herbal profile printable templates to take notes. 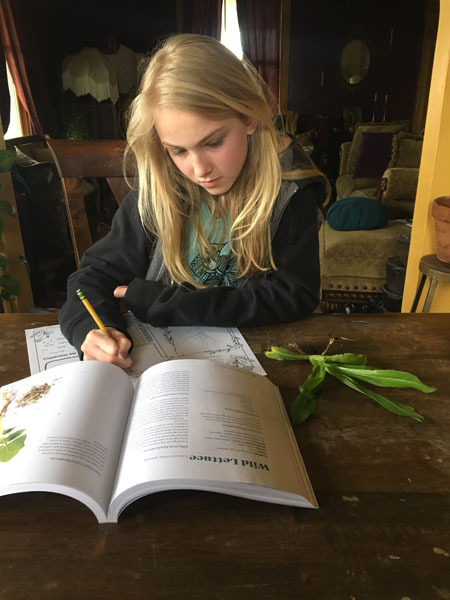 Print off a copy of the issue of Herbal Roots zine for each child and learn more about your chosen herb. Make an oil from one of the identified herbs you found. Make a salve from one of the identified herbs you found. 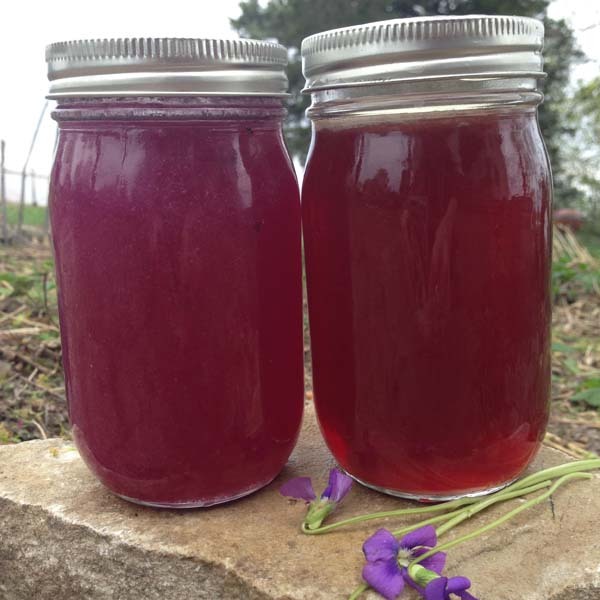 Make a tincture from one of the identified herbs you found. Make an elixir from apple twigs and flowers (peach and cherry work well too). Make a vinegar from one of the identified herbs you found. Make a syrup from herbs that help with coughs and sore throats such as basil, sage, or thyme. Hawthorn berries also make great syrup. Make a video about the herb. Make a leaf rubbing using your herb. 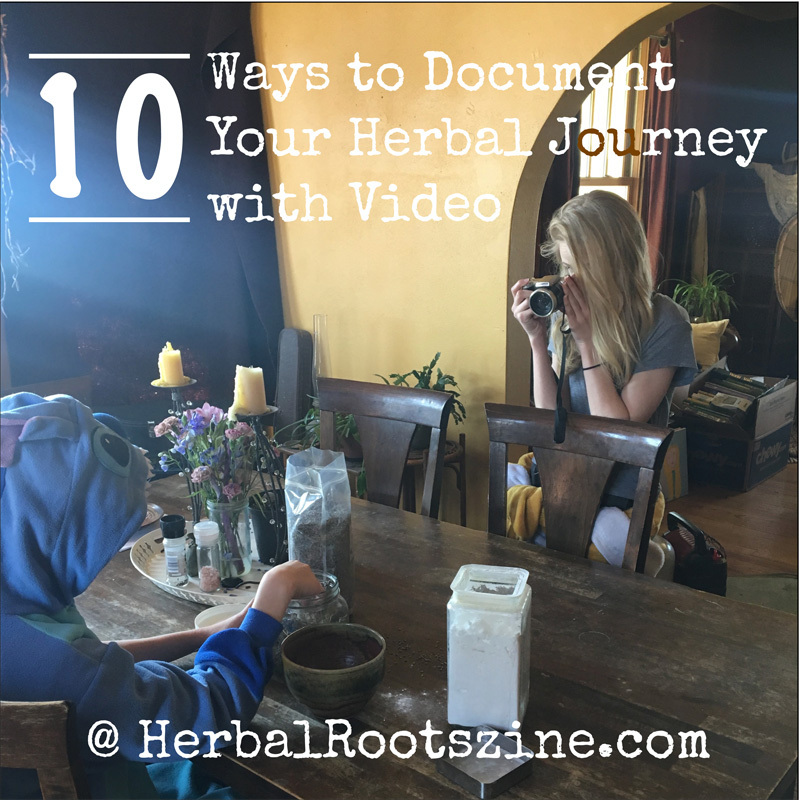 Add it to your herbal journal. Invite a friend over and make some herbal tea to drink. Write and illustrate a story about an herb. Draw and/or paint some of the plants you found. 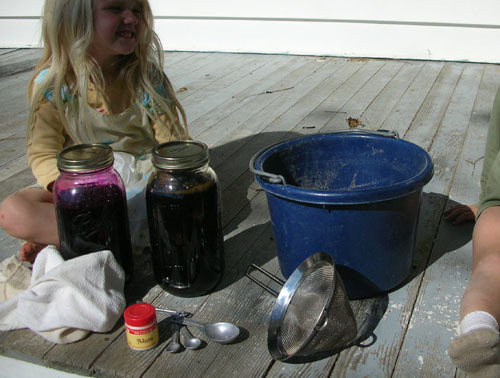 Make a dye out of some plants. 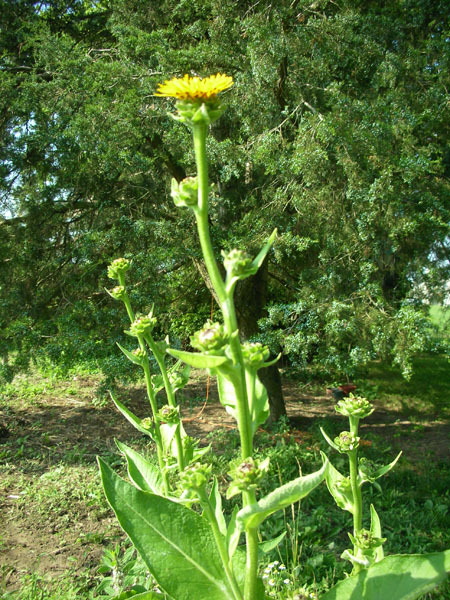 Black walnut (hulls or leaves), avocado pits and/or skins, turmeric, dandelion flowers, coffee, and tea all make great easy to use dyes. Plant some herbs in your garden. Got shade? Plenty of native medicinal plants love the shade and can be found at local nurseries. Even kitchen herbs have a lot of medicinal value. Don’t have room for a garden? Grow a few herbs in pots. 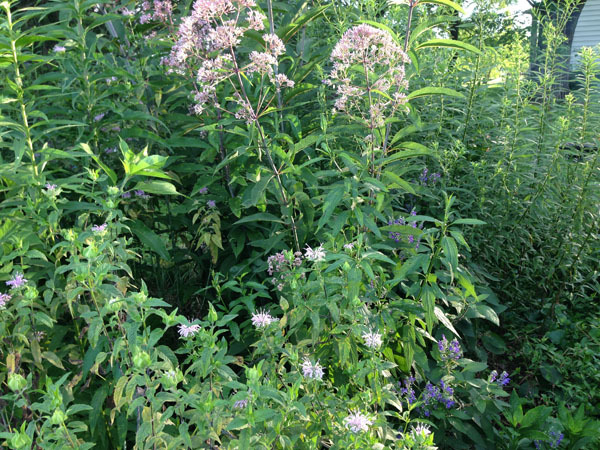 Visit a local nature preserve and learn about the plants that grow in your area. Compare them to the plants you see in your neighborhood. Be sure to bring along a bag so you can pick up any trash you might see. Visit a local park and pick up trash. 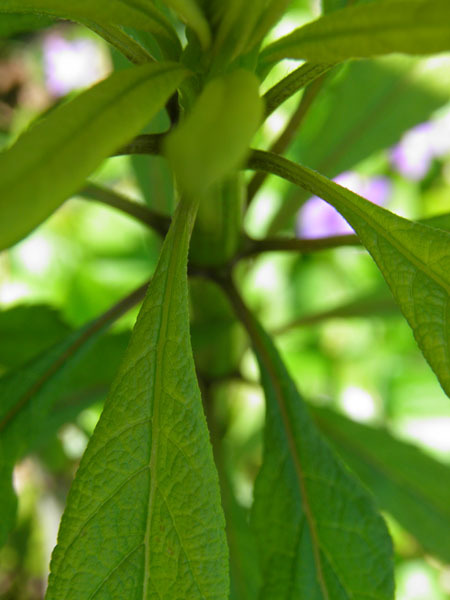 Visit your local botanical garden and see how many medicinal plants you can find. 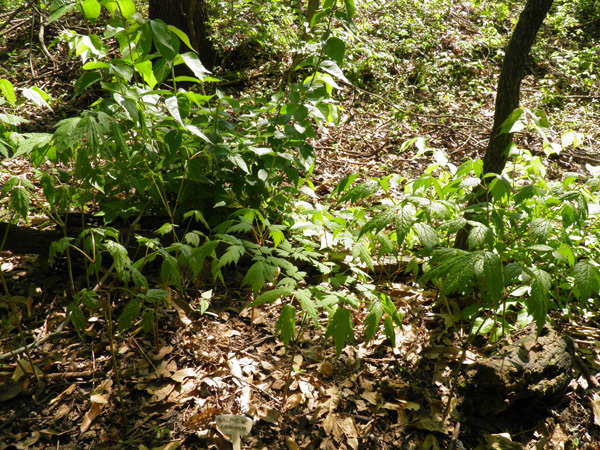 Take a hike and scout out the native plants. Bonus points if you can also find the invasives. Got Violets? Make some jelly. Violets stopped blooming but dandelions are growing like crazy? 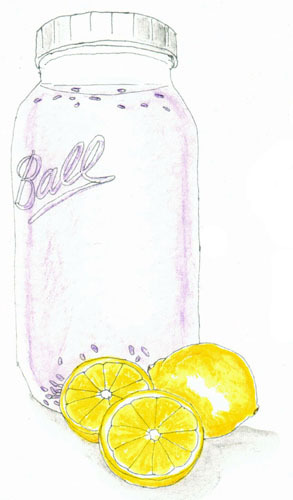 Make some Dandelion jelly instead! 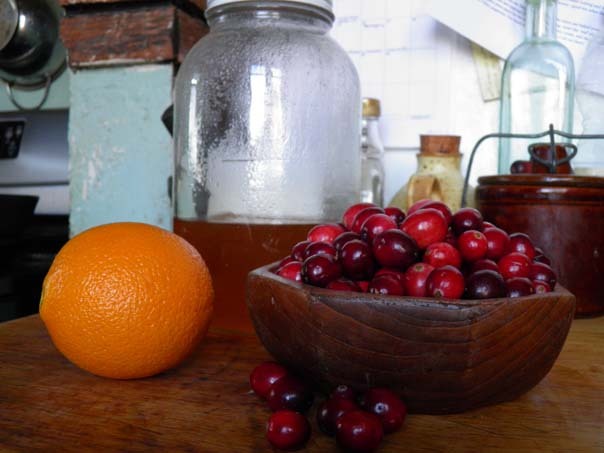 Make a batch of fire cider. Though it’s traditional for winter time, it’s always good to have on hand year round! 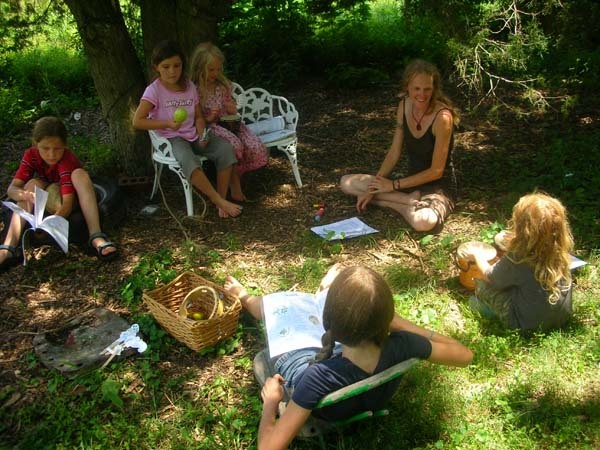 Have a daily read aloud story time and fill it with herbal stories. Play some herbally adapted games such as “Weed, Weed, Herb” or “Herbal Freeze Tag”. 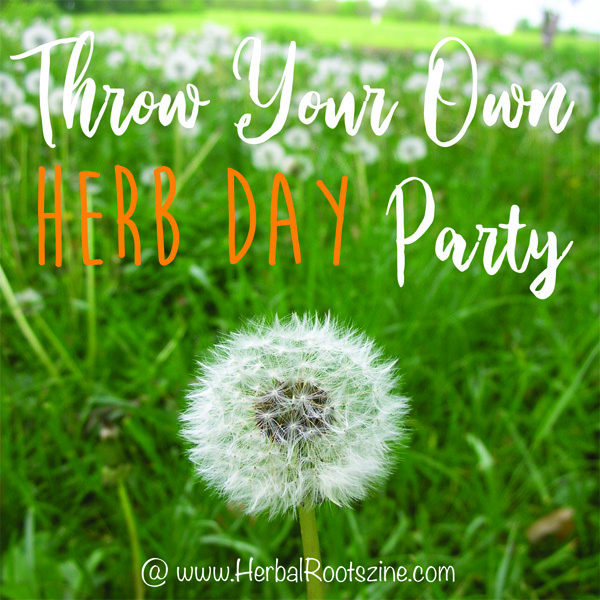 Celebrate Herb Day on Saturday, May 4, by throwing a Herb Day party. Posted in Uncategorized on April 4th, 2019 by KristineBrown — Be the first to comment! Posted in Uncategorized on March 6th, 2019 by KristineBrown — Be the first to comment! 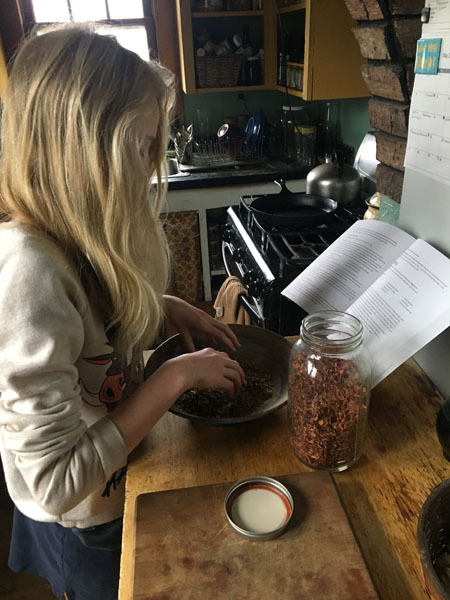 This year, the theme at Herbal Roots zine is Native Medicinal Plant Awareness – letting everyone who learns about and uses herbal medicine the importance of sustainably using plants that are slow growing and becoming scarce. Many of our North American native medicinals can grow for 20-30 years, slowly producing roots or rhizomes that are large enough for harvesting to make medicine. 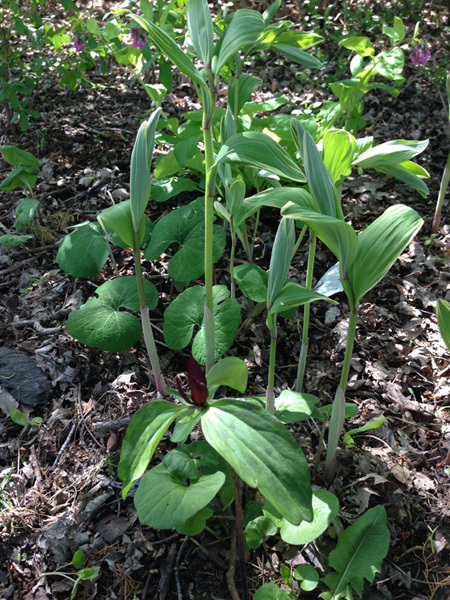 Solomon’s Seal, Bloodroot, Trillium and Wild Ginger all growing happily together. 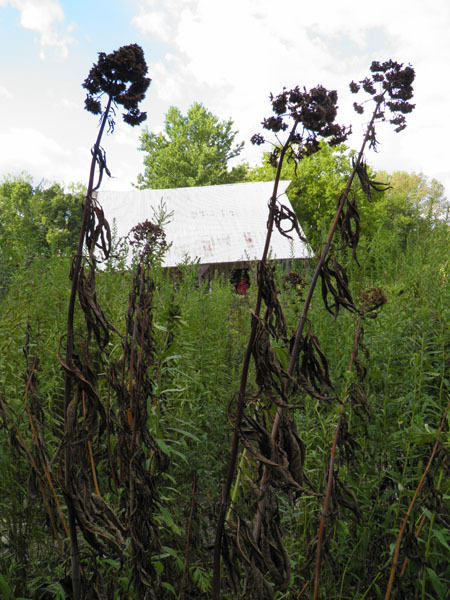 Harvesting plants for their roots is a two-fold problem. We are removing the entire plant, often before the seed can spread for the regeneration of future plants, which removes all chances the plant has at continuing its growth cycle so not only are we taking away the main life of the plant (the root) but we are also taking away the plant’s chance of reproduction (the seed). Reality TV shows highlight the profit behind harvesting American Ginseng roots and ‘seng hunters will go to crazy limits to find roots for selling. 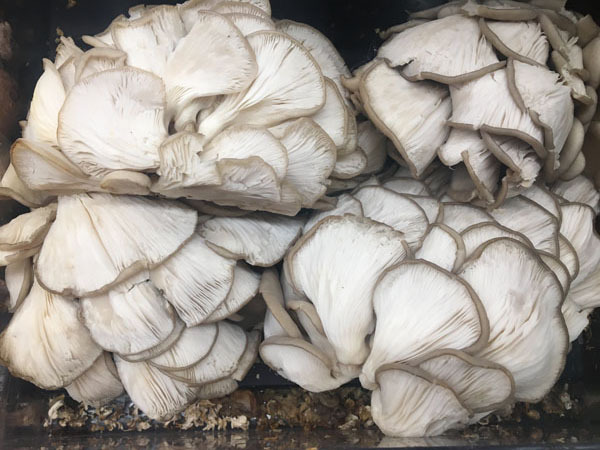 Because of the requirements for roots remaining fully intact, sustainable harvest practices (leaving the crown and main portion while harvesting only the side roots is a better practice) are not followed, thought it’s doubtful many would follow sustainable practices even if they could. Ginseng is a very slow growing native medicinal that can be grown in a home shade garden. The plants are relying on us to sustain them. 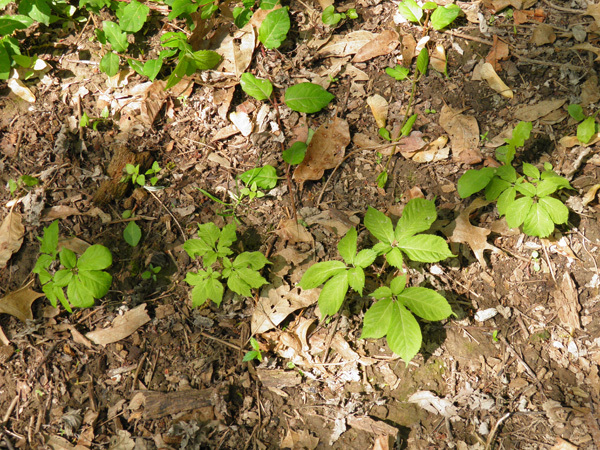 We must stop wildcrafting plants such as Osha, Trillium, True Unicorn Root, False Unicorn Root, Black Cohosh, Blue Cohosh, American Ginseng, Goldenseal, Wild Yam and so on and start cultivating them wherever possible. Most of our endangered species prefer to grow in full to partial shade. 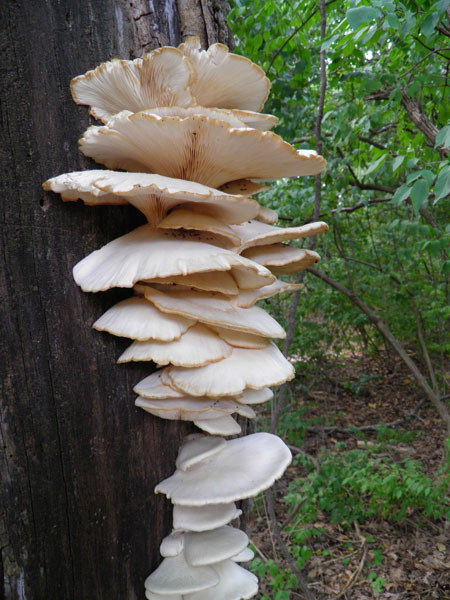 While some, such as Osha, require strict growing requirements, many others are quite easily grown in a shady back yard. If you have a bit of space that is in the shade, why not try growing a few native medicinals this year? 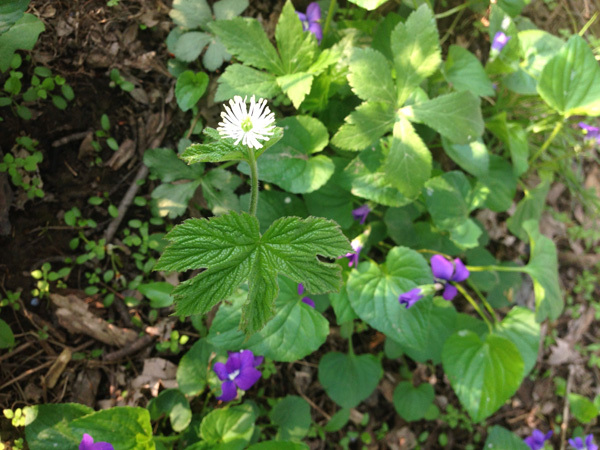 Many of our native medicinal plants are fairly small in size, such as Goldenseal, False Unicorn Root, Trillium and Bloodroot. They do great growing nearer to the front of your garden bed, along edges and peaking out of other plants. Wild Ginger, a native medicinal that is not endangered, also fits well in the front. 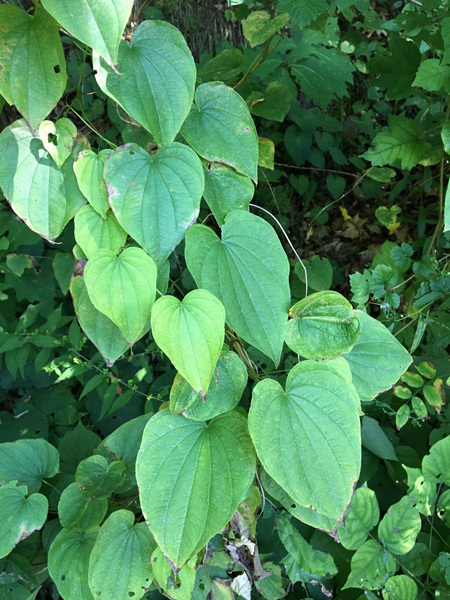 Wild Yam is a vine and needs support to grow on and is found growing on trees in the wild. You can plant Wild Yam near your trees to bring upward movement into your garden, or add trellises in strategic locations if the trees are not accessible. Black Cohosh and Solomon’s Seal make a great background plant as they can grow to a height of 3-4 feet or more. 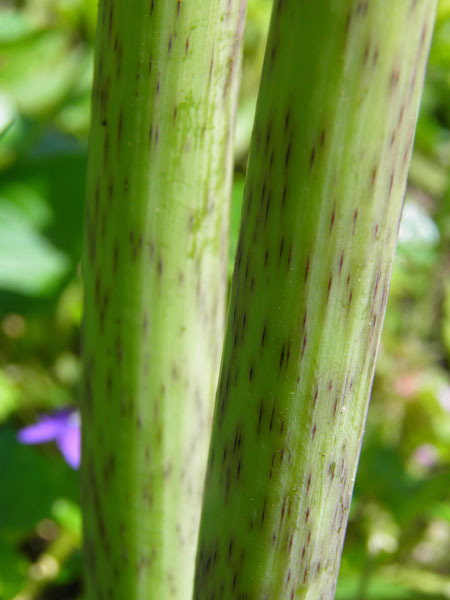 Mid-height plants such as Blue Cohosh and American Ginseng can help to fill in between the edge plants and background plants. Pleurisy Root and Echinacea prefer sun so if you are needing a more sun-loving garden, they fit in nicely along with other natives such as Culver’s Root and Wild Indigo for a more colorful butterfly garden. 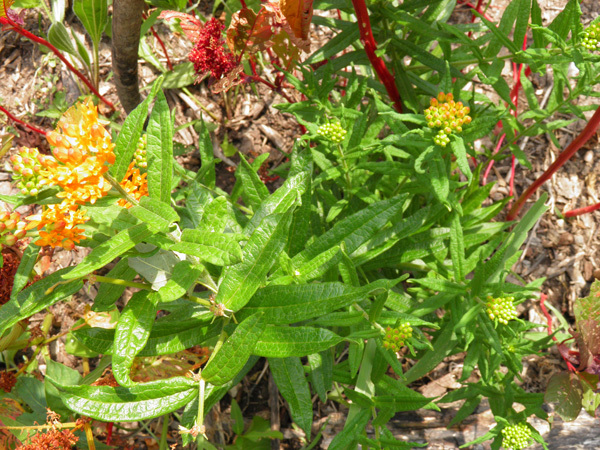 Pleurisy Root, also known as Butterfly Weed, grows happily in the sunnier part of the garden. 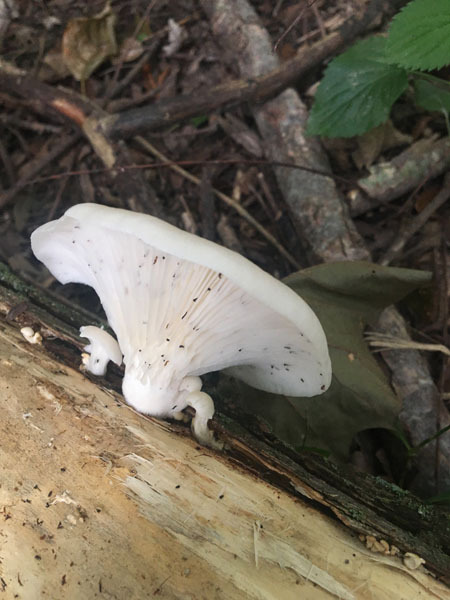 False Unicorn Root planted in the woods behind our barn. 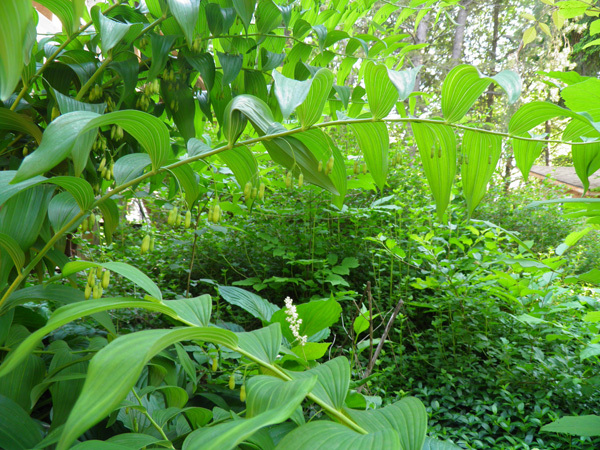 Solomon’s Seal creates beautiful uplifting accents in the shade garden with delicate white bell shaped flowers. 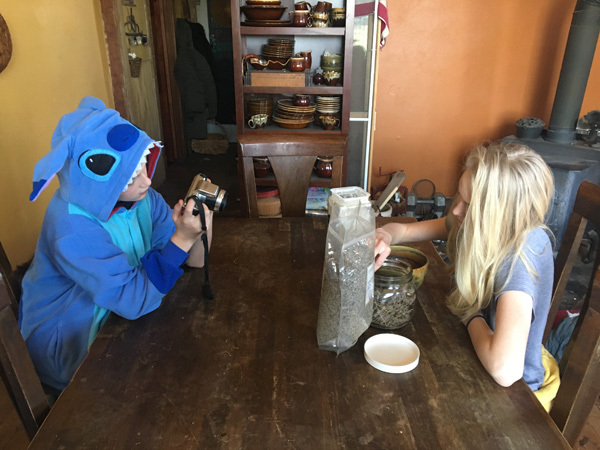 This is a great family project, one that can get kids involved with not only learning about the medicinal aspects of plants but also bring awareness to just how fragile some plants can be. Kids love to take charge of tending their own gardens and this can be a valuable experience for them. Susan Leopold and the entire staff at United Plant Savers – This non-profit organization has been key for supporting and bringing awareness to the plight of our fragile native medicinals. If you are not already a member, you should be! 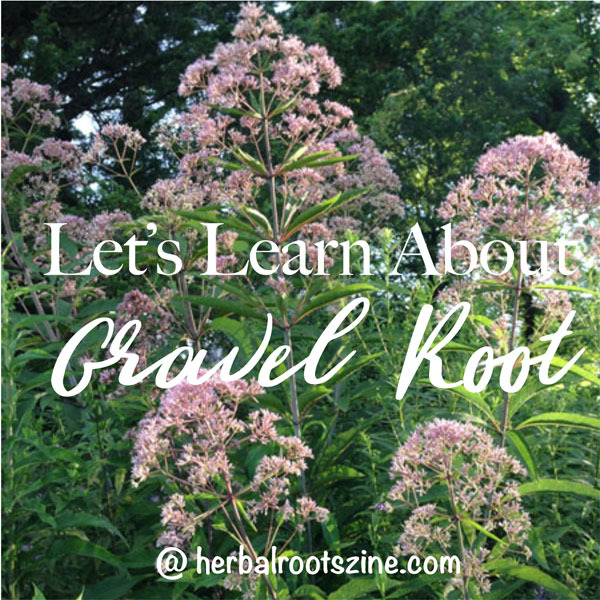 Students of Herbal Roots zine are given a one year membership when they take a course from me such as the Native Medicinal Plant Awareness Journey. Ann Armbrecht’s Sustainable Herbs Project – a multi-media project educating consumers about sustainability, quality and equity in the herbal products industry. The Sustainable Herbs Project and American Botanical Council have teamed up this year to help educate consumers together. While it’s not feasible for everyone to grow all the plants, due to space and time and locale constrictions, if we all grow a bit of our natives, together we can help to save our native medicinal plants! 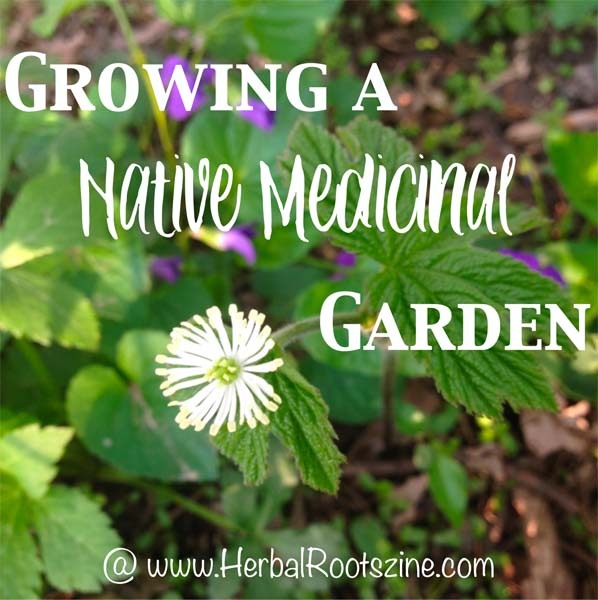 Do you have a native medicinal plants garden? If so, what do you grow? If not, do you have plans to grow any this year? We’d love to hear about your plans, share them in the comments. Posted in Uncategorized on February 18th, 2019 by KristineBrown — Be the first to comment! I’m sure you’ve heard that saying before as an argument to get outside regardless of the weather. But often, even with the right clothing it can be almost impossible to get kids out into the elements. The reasons for getting outside all year round are applaudable – it’s mood lifting, it can help to improve your memory, it boosts the immune system, it recharges the brain, and during certain times of the year it can help to increase your vitamin D levels – but sometimes (well probably almost always) knowing it’s good for you just doesn’t seem to be enough to convince kids it’s the right thing to do. So how can you get your kids to get outside when it’s cold? Funny enough, in my house, all it took was a puppy! 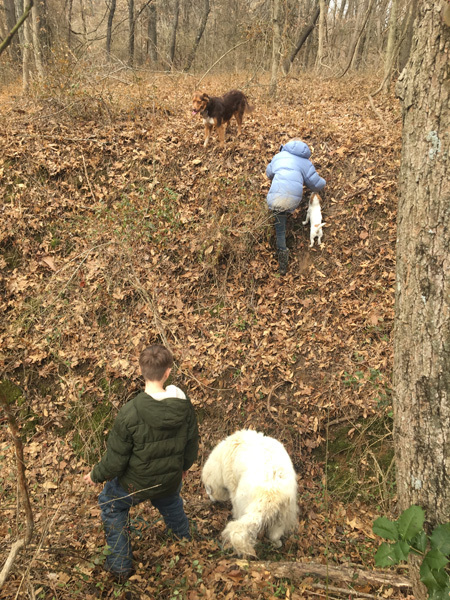 My daughter wanted her own puppy and when she got it, she started joining me and my dog on my daily woods walks with her puppy. 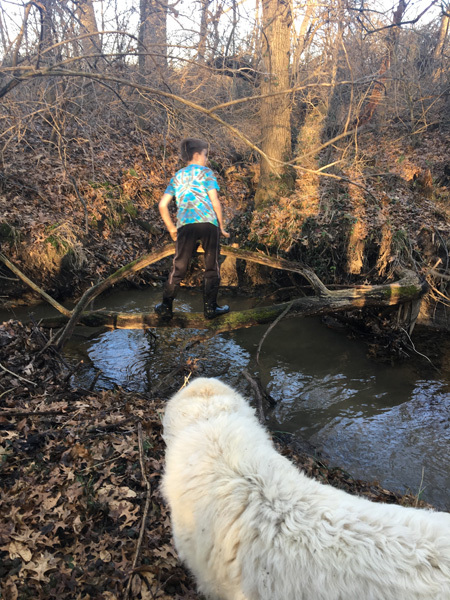 And when she re-discovered how fun it could be playing next to the stream and exploring, she convinced her brother to join in with us on our adventures. Granted, there are still times that neither wants to join me but I find if I’m firm and insist they come along, generally the one who resisted the most is the one who doesn’t want to leave when it’s time to return home. 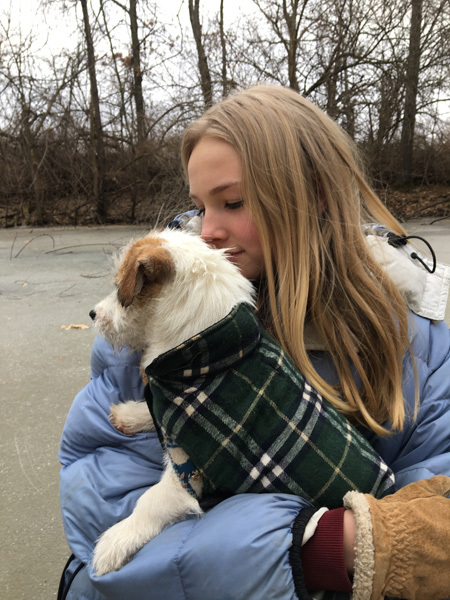 Not everyone can get a puppy so here are some other ideas to get your kids outside in the winter! 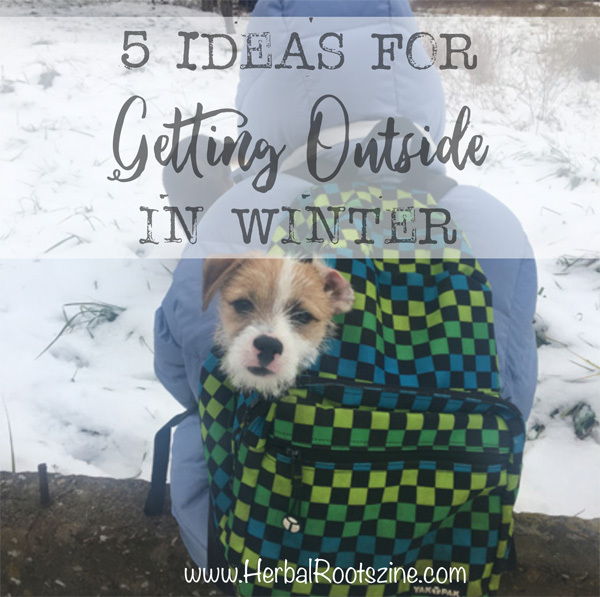 It may even seem there’s no reason herbally to get outside and explore so it may come as a surprise just how many plants you can find in the middle of winter This is a great time to learn to identify trees, discover the evergreens and look for emerging buds on deciduous trees. Make a list of what you find and try to guess which trees will bud out first. This is a great ongoing game as it encourages returns to the outdoors to follow up. 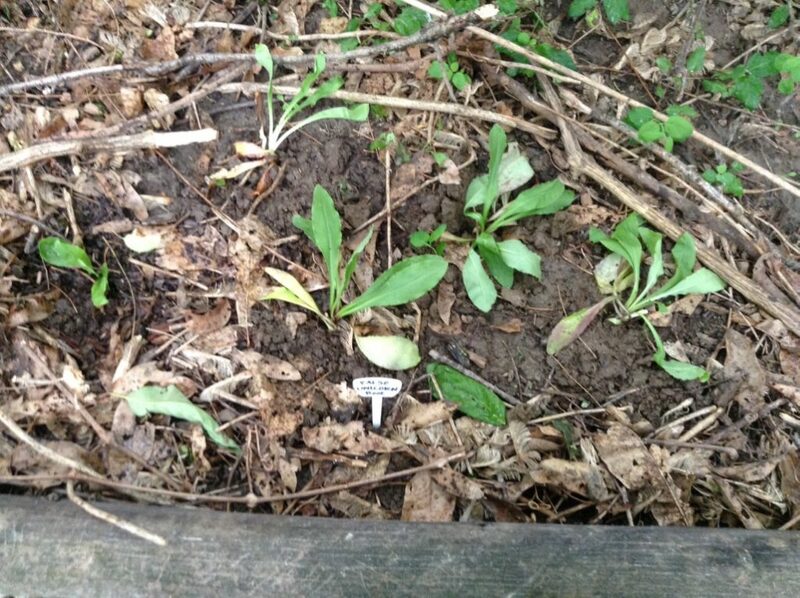 At the same time, you can learn to identify the skeletons of plants from last year’s growth. How many can you find and identify? 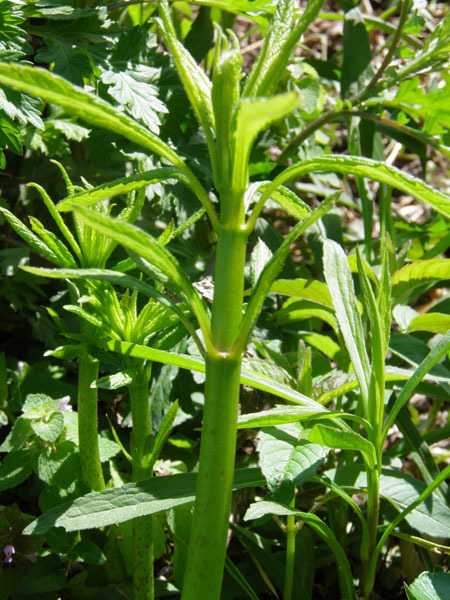 Plants such as Goldenrod, Queen Anne’s Lace, Echinacea, Nettles and Milkweeds are all easy to find. Some plants such as Nettles, Chickweed and Cleavers are all early risers to they are plants to look for in the ground if it’s not covered in snow. Record all your findings in a journal. Take time to sketch a few of the plants you’ve discovered, what’s start gin to emerge and when everything starts coming back to life. Use colored pencils to color in drawings. Collect leaves, twigs, seeds and do bark rubbings during your walks to add to your journal. If you don’t have a woodland area near your home, head out to a local park or conservation area and explore. 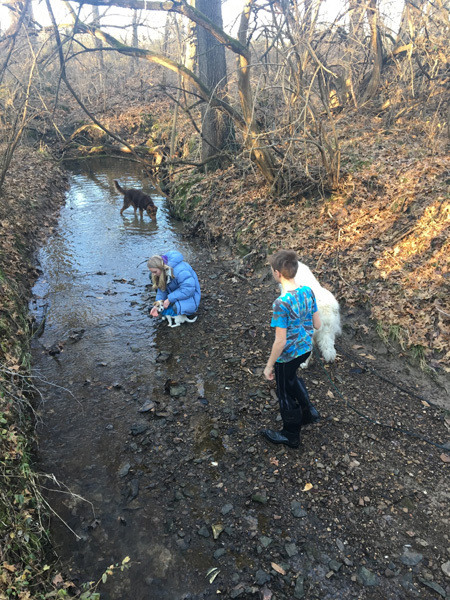 It’s fun to find streams and outcroppings of rocks to play on while you’re out. Got a garden? Late winter is the perfect time to start clearing away the debris. Look for praying mantis egg sacs, collect them as you clean, then redistribute them once your garden is cleared and ready for planting. See who can find the most sacs! Dream about the plants you’ll grow in your garden, it’s fun to see what plants kids like to grow. They’ll feel a bit of ownership in the garden and will be more enthusiastic when it comes to planting, growing and weeding the garden later in the year. From hanging the bird feeder to filling it up, there’s not a single activity related to feeding the birds that my kids don’t enjoy. 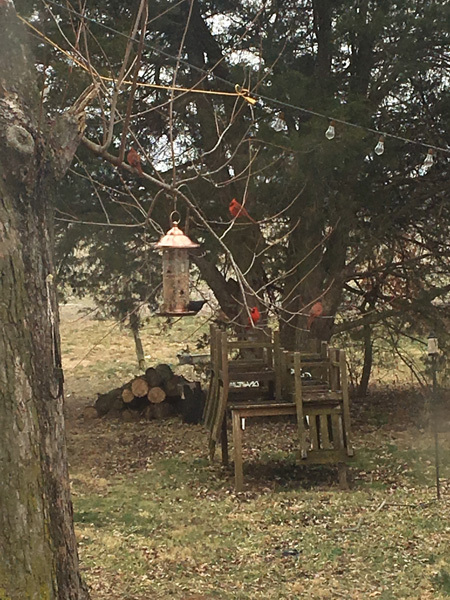 And if you have plants growing in your back yard, chances are you have birds! During the summer we love to watch the finches eating the Echinacea seed and the swallows dipping in the sky as they eat insects. Birds are not only welcome but a necessary component to herb gardening as they help to spread seeds and eat insects and snails. Adding a few bushes such as Forsythia, Eleuthero and raspberries or other bramble berries offers habitats for the birds as well as the trees. Once the bird feeders are filled, it’s fun to go around the yard and discover bird habitats making it a great way to get kids outside. Do you make a habit of getting outside during the winter? What tricks do you use to entice your kids to get outside? We’d love for you to share them with us! [Herbal Rootlets]: No. 91 – Pass the Cranberry Sauce! Posted in Uncategorized on November 20th, 2018 by KristineBrown — Be the first to comment! When you think “Cranberry sauce” what comes to mind? Do you envision a gelatinous loaf, globbed out of a can and sliced onto a dainty glass serving tray? Cranberry sauce, for me, has always been up there with fruitcake – something that was served at family holiday meals, traditions that were tolerated but never enjoyed. Other times I have been served cranberry sauce that was made fresh from Cranberries, cooked to mush and over sweetened. Just about as nearly delightful as the canned stuff. But then, one Thanksgiving dinner, my cousin served a bowl of Cranberry sauce that looked delicious. So I tried it and was pleasantly pleased! 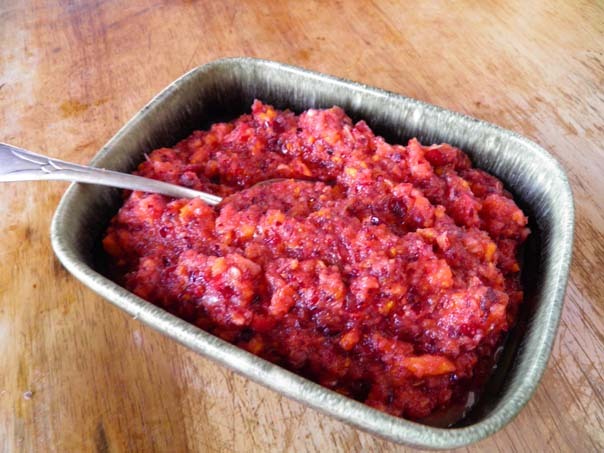 This Cranberry sauce was tangy, sweet, packed with flavor with no mush, no slime. It actually tasted real and healthy! When I asked the recipe, I was so amazed – it had 3 ingredients and required no cooking. In fact, the only kitchen appliance needed was a blender or food processor. 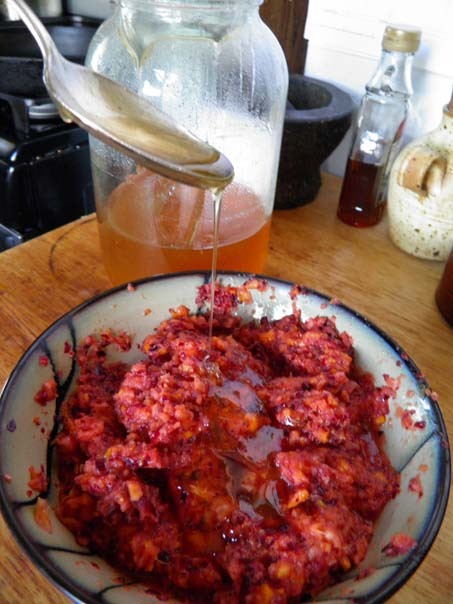 From that day on, this version of Cranberry sauce became a staple in my Thanksgiving meal and every year I make it and gobble it up (along with most of my family). The best part about this version is that it keeps all the valuable vitamins and nutrients as well as the medicinal value of the Cranberry intact. You can read all about that here. Do yourself and your family a favor and try it out this year! Make it today or tomorrow so it has time to sit and infuse for best results on Thursday. 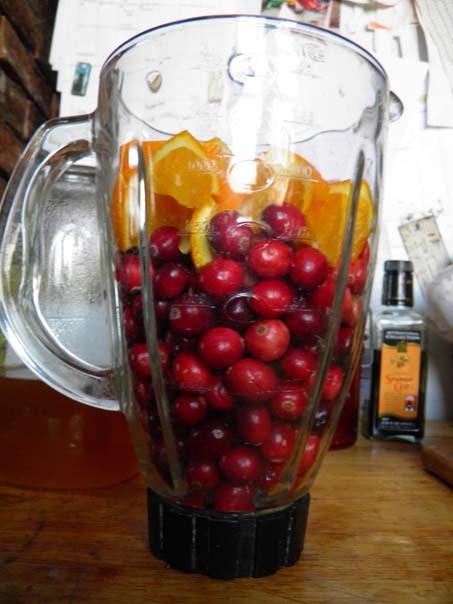 Place the cranberries and chopped up orange into a blender and blend until well pureed. The sauce will still be lumpy. Add the juice of the extra orange if needed to help blend. Add honey to sweeten, about 3 – 4 tablespoons depending on your taste. More can be added later if needed. Place in a bowl and refrigerate. The sauce tastes better if it’s allowed to sit for a day though it’s ready to eat at any time. Want to learn more about Cranberry’s medicinal uses? Check out the November 2012 issue on Cranberry. Posted in Uncategorized on November 13th, 2018 by KristineBrown — Be the first to comment! Posted in Uncategorized on November 5th, 2018 by KristineBrown — Be the first to comment! 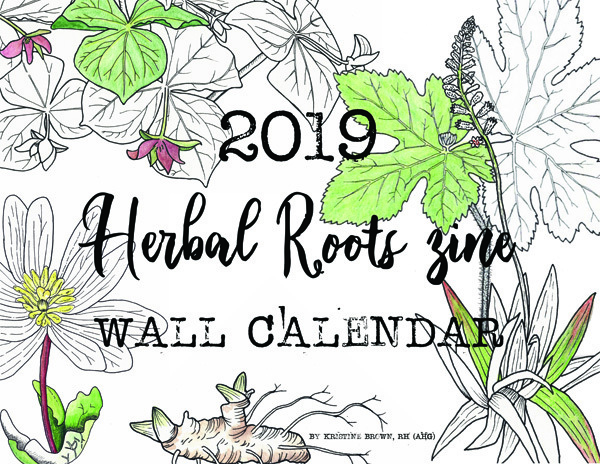 It’s been 6 years since I’ve been able to put together a wall calendar for Herbal Roots zine’s upcoming herbs and I am excited to present the 2019 wall calendar featuring endangered and at risk native medicinal plants! To raise funds for printing the calendars, I am running a quick 10 day Kickstarter sale. Early birds will get bonus note cards as a thank you for helping to support this project as well as lower pricing than general retail pricing. I am quite happy with how these have turned out and hope you like them too. I chose to add a minimal watercolor to each illustration so that it can also be used as a coloring book if you so desire. For full details and a view of the illustrations, head to the Kickstarter page. Posted in Uncategorized on October 5th, 2018 by KristineBrown — Be the first to comment! Posted in Uncategorized on September 24th, 2018 by KristineBrown — Be the first to comment! Posted in Uncategorized on May 2nd, 2018 by KristineBrown — Be the first to comment! 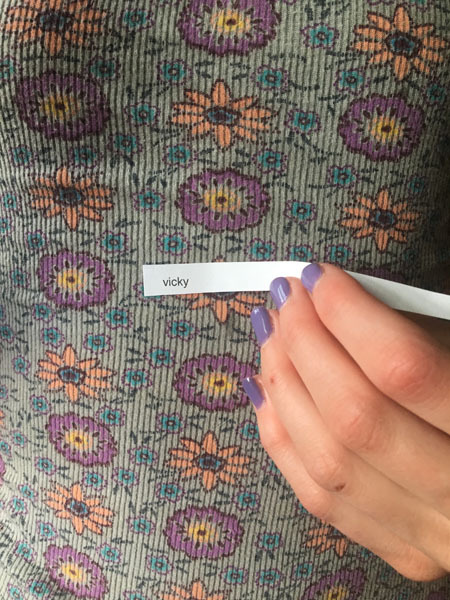 Congratulations to Vicky! 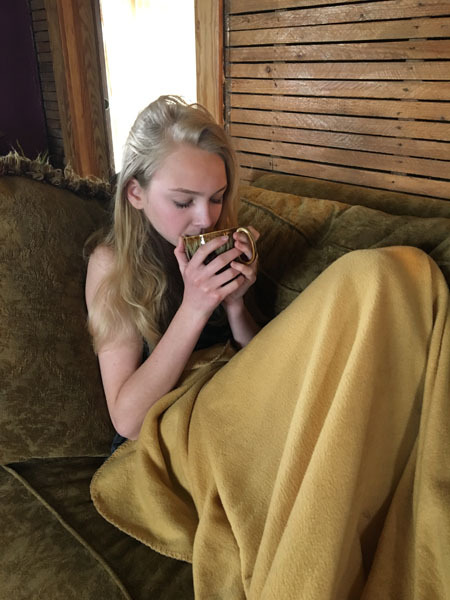 Her name was drawn in the contest out of over 1,000 entries between Facebook, Pinterest, Instagram and this blog! Thanks to everyone who joined in on the fun! I wish I could have given you all a book! If you are wanting to purchase the book, it is available for pre-order on Amazon and is being released in less than 2 weeks! My friends Katja Swift and Ryn Midura have written a book and I am happy to add it to my list of resources on my website! 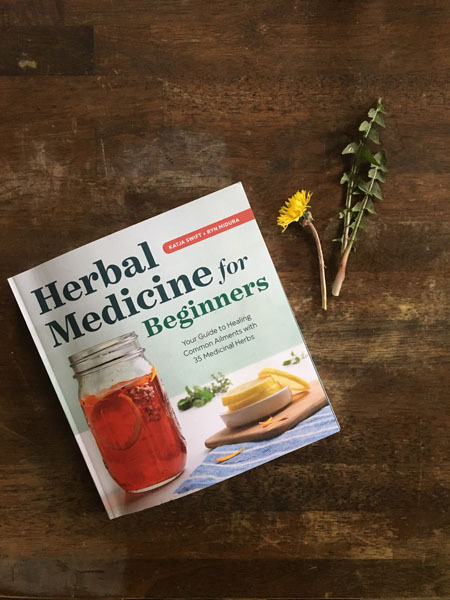 Part herbal, part formulatory and part instructional, Herbal Medicine for Beginners is a great book for beginners of all ages! This book is a perfect companion for those who want to get started in herbalism but just don’t know where to begin. I love that it covers 35 common herbs: Angelica, Ashwagandha, Betony, Calendula, Catnip, Chamomile, Cinnamon, Dandelion, Elder, Elecampane, Fennel, Garlic, Ginger, Goldenrod, Kelp, Licorice, Linden, Marshmallow, Meadowsweet, Milk Thistle, Mullein, Nettle, Peppermint, Pine, Plantain, Rose, Sage, Self-Heal, Solomon’s Seal, St. John’s Wort, Thyme, Tulsi, Uva-Ursi, Wild Lettuce and Yarrow, in an easy to understand manner and sets you up to be able to work effectively with all 35 herbs over the course of the book. Not only does this book give a great overview of 35 commonly found herbs but it also gives great suggestions for combining herbs for a variety of common ailments and will give any beginner a great starting point for learning to incorporate herbs into their daily lives. This book will teach you how to choose the best herbs for your body based on your body type and lifestyle and how to use them appropriately. 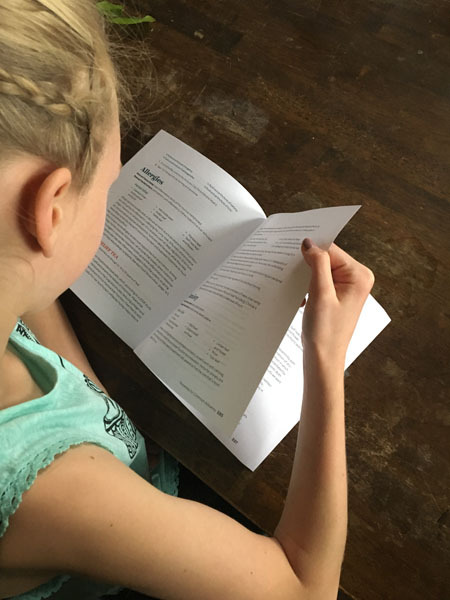 I decided to put this book to the test and handed it over to my 13 year old daughter and she put it to good use, using it as a supplement to learning about our upcoming herb for June, Wild Lettuce. 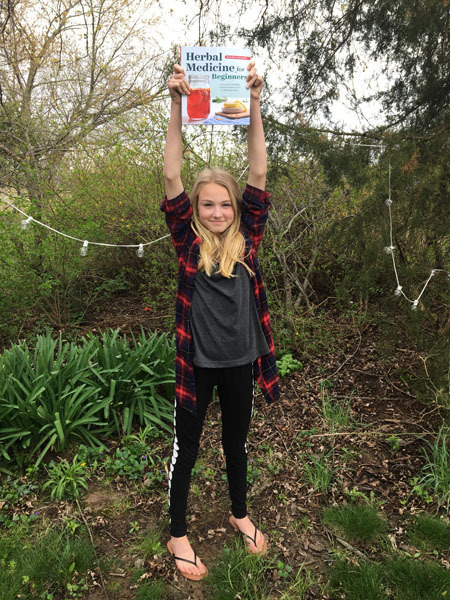 She found the book to be easy to follow with concise information that makes sense and recipes that are straight forward, easy to make and taste good too. 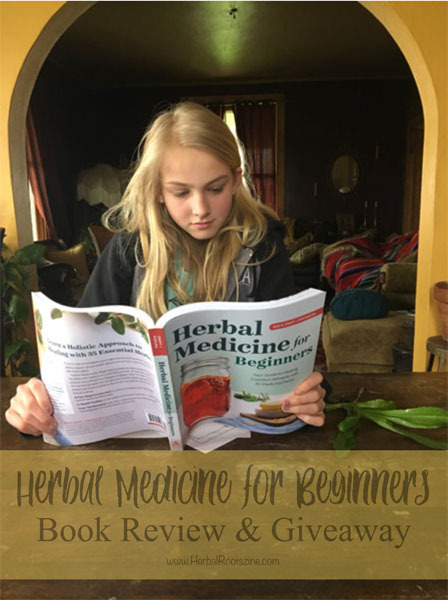 And while this book is simple enough for my 13 year old to understand, beginner adult herbalists will also find it to be a useful gem in their herbal library. Herbal Medicine for Beginners is your everyday reference for common ailments using 35 popular herbs. You don’t need to buy hundreds of hard-to-find herbs to start your journey with herbal medicine. Herbal Medicine for Beginners shows you how to use a few important herbs to promote the body’s ability to fight infection and heal naturally. Herbal Medicine for Beginners shows herbalists-in-training how to use a limited number of versatile, medicinal herbs to craft herbal remedies for common ailments. 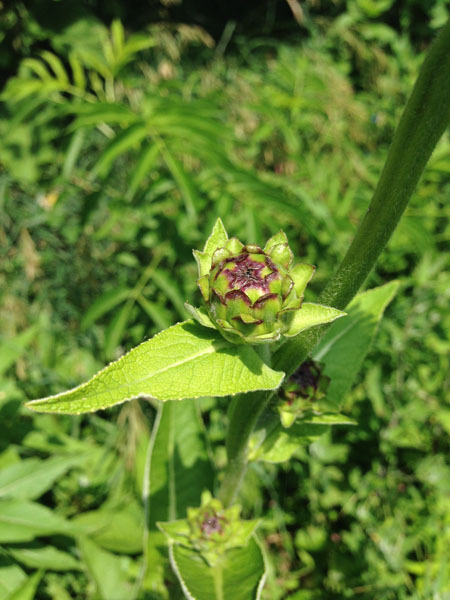 From allergies to fevers to headaches, beginners will gain the essential knowledge they need to blossom into natural healers and practice herbal medicine. 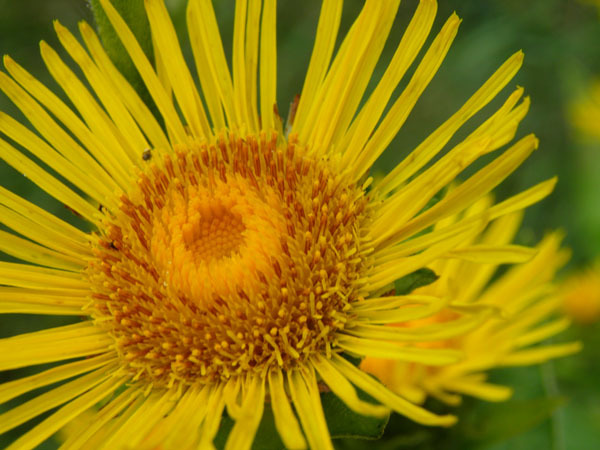 Learn how to detox with dandelion, beat stress with linden, soothe burns with marshmallow and much more with remedies for common ailments in Herbal Medicine for Beginners. Katja is an herbalist and teacher working to help adults, children, and families rebuild their relationships with their bodies and with their own ability to heal. By teaching people how to understand what’s going on in their bodies, to eat real food, and work with medicinal plants, she helps them to reestablish their connectivity to the earth, to themselves, and to one another. Katja likes words like educate and choice, hike and campfire, music and art. Also, enough, plain speech, and integrity. She abhors the way in which the phrases “I can’t” and “I have to” are overused in our culture. Some of Katja’s favorite teas include Tulsi, Wood Betony, & Rose petals, Nettle and Friends, and Chai for a Busy Day. Ryn found plant medicine as a path to deeper engagement with the balances and rhythms in body, mind, and environment. He’s become good friends with the soft and savory leaves of sage, the flexing knuckles of solomon’s seal, and the salamander living inside ginger. Ryn’s first forays into healing came by way of martial arts, where he saw the difference movement can make for a person’s health. He is a MovNat Level 1 Certified Trainer. Every day, Ryn drinks his roots, tastes his bitters, gets [almost] enough sleep, walks on all fours, takes the stairs, and stares at clouds. He feels keenly aware that while herbs alone can initiate a shift, they’re even more effective when combined with other interventions in lifestyle factors including diet, movement, sleep, and stress management, and that those changes must be chosen and pursued according to the nature of the individual, in the same way that herbal remedies must be formulated anew for each client. This is an exciting time to be an herbalist: we see further and clearer into our past as we weave our way forward. As Ryn continues to develop his attunement to the world green and growing, he delights in sharing its gifts with the people all around who are in need of care and compassion, and those who seek to understand the connections from all things to all things. 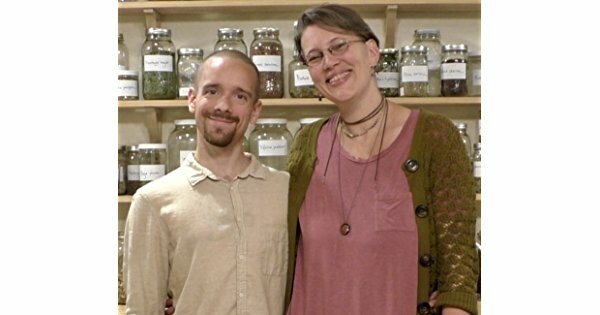 Together, Katja and Ryn teach and run the Commonwealth Center for Holistic Herbalism in Boston, Massachusetts. For a chance to win, leave a comment on this website. This giveaway is running through May 1, 2018 and I’ll announce the winner on May 2, 2018. Due to publishing restrictions, this giveaway is open for USA residents only. I’ve had a lot of fun collaborations this past winter and I’d like to share one of them with you now! 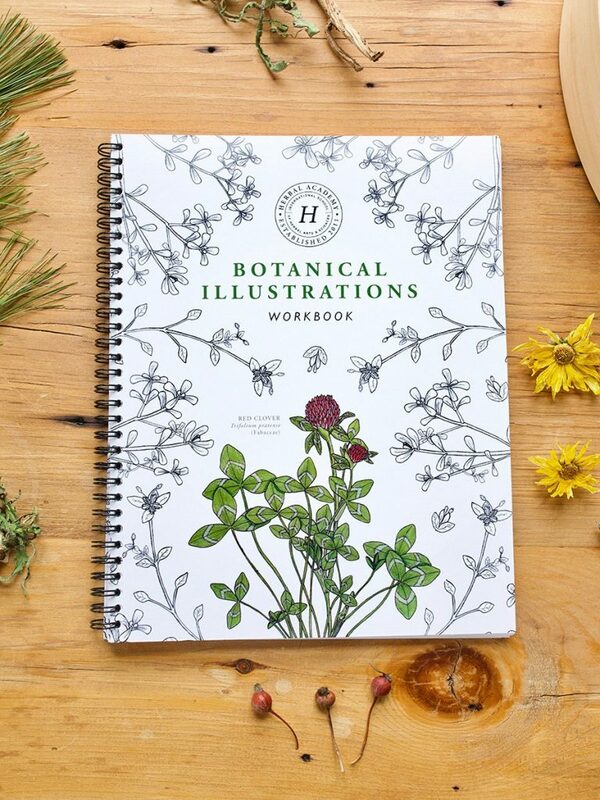 I am delighted to announce that I teamed up with the folks at Herbal Academy to create an online Botanical Illustration class AND a Botanical Illustration Coloring and Workbook. 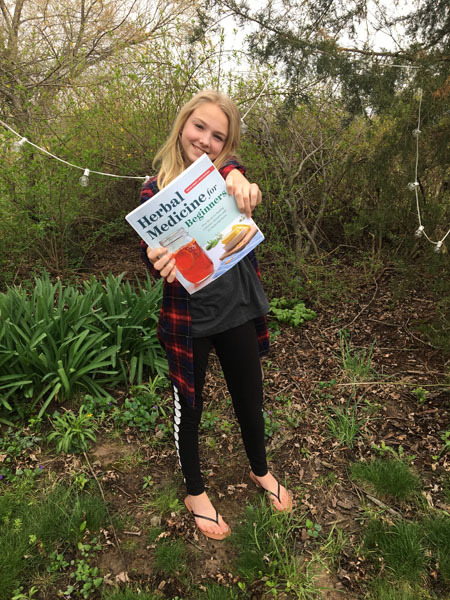 These are great additions for teenagers and above who are passionate about herbs and want to learn more. Herbal Academy has just released their Botany & Wildcrafting Course with an amazing pre-registration sale ($50 off)! 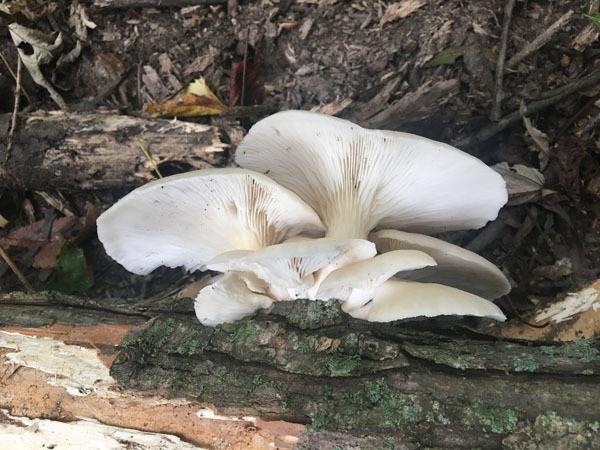 The class is going to cover the art of wildcrafting and the science of plant identification so that by the end of the course, you will be able to identify new plants anywhere in the world using your newfound skills and a dichotomous key. The class just went up for registration today so hop on over to their website for all the details! 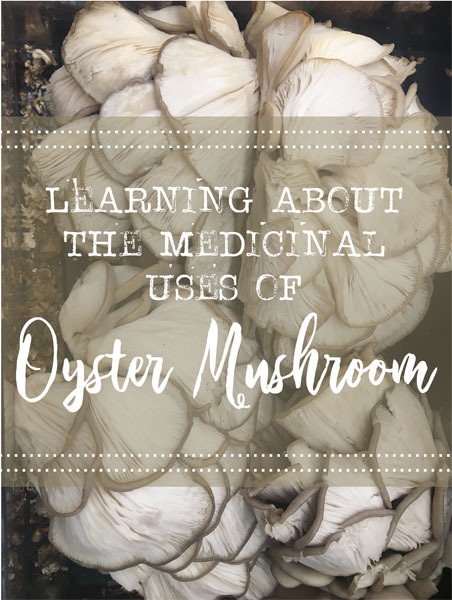 To give you an idea of what is included in class, lessons cover topics like using the dichotomous key for plant identification, identifying botanical families and patterns in nature, drawing herbs, making a pressed herbarium, wildcrafting for wild edibles and herbs, drying herbs, and much, much more. If you are curious to learn more about the botanical side of plants, this is the course for you!